While sporting event signage is usually related to high-profile venues and big brand names, it’s also an option at the local level. Sporting event signage is a lucrative opportunity for print service providers (PSPs). Wall tattoos or decals are an off-shoot of wallcoverings. Many companies pride themselves on versatility. For smaller print service providers (PSPs), it’s not always possible to do everything. Print providers add digital label printing capabilities in house to service short-run demands. Small format point of purchase (POP) is a popular service for many print providers equipped to offer customers high-quality output. When the term point of purchase (POP) is mentioned, the idea of wide format signs, banners, and other larger graphics comes to mind. The print industry has experienced an inkjet revolution over the past decade. 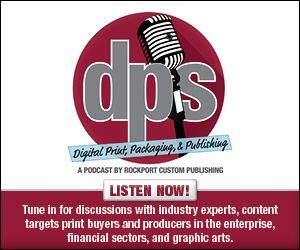 Print service providers (PSPs) must have a passion for print. Success often comes from creativity and a shop’s ability to utilize the latest technologies in a way that separates them from the competition. The publishing model is changing. Printed books are not going away, but as the needs of publishers evolve, digital print technologies provide a cost-effective means for shorter production runs. The first part of this series on labels, stickers, and decals looked at the benefits of working with a printer/cutter to create these applications.